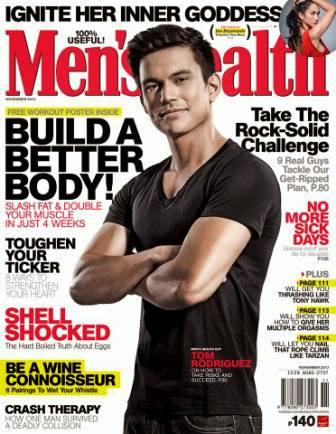 After the success of their primetime TV series "My Husband's Lover," hunk actor Tom Rodriguez immediately got many endorsements and magazine covers. And one of these is my favorite Men's Health magazine. On the said cover, even though Tom is wearing a black shirt, he is still looking hot and gorgeous! Follow us on Twitter: @rockenroll_04 and on Instagram: @rockenroll_04.